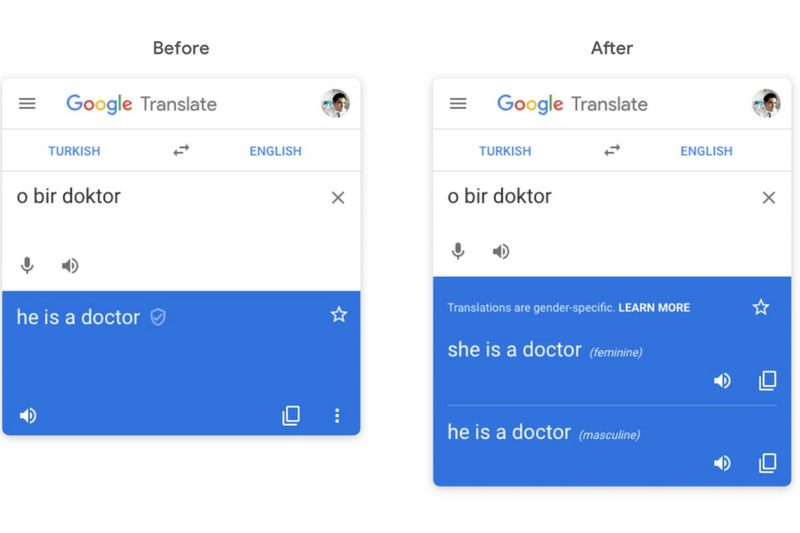 In an effort to reduce gender bias in its translations, Google Translate will now show gender-specific translations for some languages. Previously, Google Translate would only show one translation for words that could either have a feminine or masculine form. Translations for words like “strong” or “doctor” would skew masculine, while “beautiful” and “nurse” would skew feminine. Now, Google Translate will show both feminine and masculine translations for words in select languages.